Have you been caught in common traps? Christine Stevens has designed a coaching and mentoring program to make you successful in business and personal growth so you can live your passion in joy and abundance. Here are the keys to her five-step program for successful “soul proprietor”. Pinpoint your Passion – determine your best niche, ask empowering questions, explore the needs of your market, identify your expertise, develop your dream business. Fabulous Facilitation – developing greater presence, finding your signature program, your gifts, preparation techniques that work for you, developing event follow up protocols. Marketing your Message – Name business, business cards, website, products and services, implicit and explicit mission statement, creating a database and newsletter. Successful Sales – fee menu, negotiating fees, establishing pricing and principles. Selling vs. promoting. Powerful Publicity – FREE publicity and social networking sites, getting press and working it! Making 20% client for 80% business. Christine Stevens has been a strong influence in the development of my career. This has been the single most important investment in my career to date. Christine has enabled me to turn my drum circle facilitation ‘life’ into a drum circle facilitation business. Christine’s coaching sessions gave me the boost I badly needed to move my LuluJam Facilitation business ahead in a positive direction. Her wise advice is beyond useful, it’s well worth the time and money. 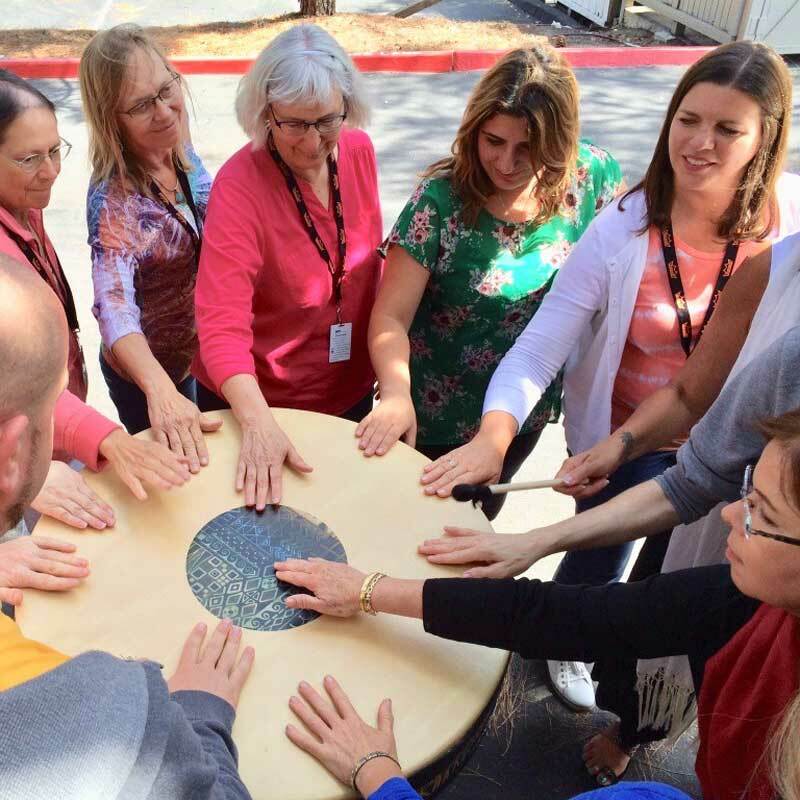 Christine is the perfect mentor for drum circle facilitators. She invokes relevant questions, provides excellent examples, and gives specific ideas for marketing, selling, and becoming a stronger facilitator. 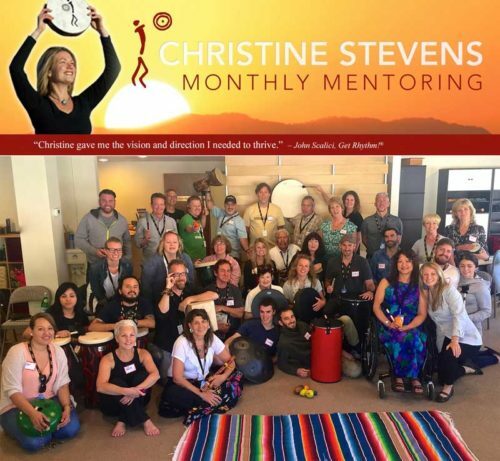 Christine Stevens has been the primary and direct inspiration for my successful transition to this life path as a Drum Circle Facilitator. She guided me into a whole new world of possibilities. Two Convenient Options For You!